Only Pay When YOU Get Paid! We’re proud to specialize in home service, home improvement and contractor lead generation, and the approach that we take is one of a kind. Our model built on trust, transparency and accountability from all parties. We only work with hungry to grow contractors who provide a high quality service and have a clear niche and offering to meet the local markets demands. We went from 3-5 cleanings a week to 3-5 cleanings almost everyday!!! This company is by far the best internet lead generating company I have ever used! And believe me, I have used more then a few! We’re not like other lead generation services which simply charge you per lead and leave you to it. 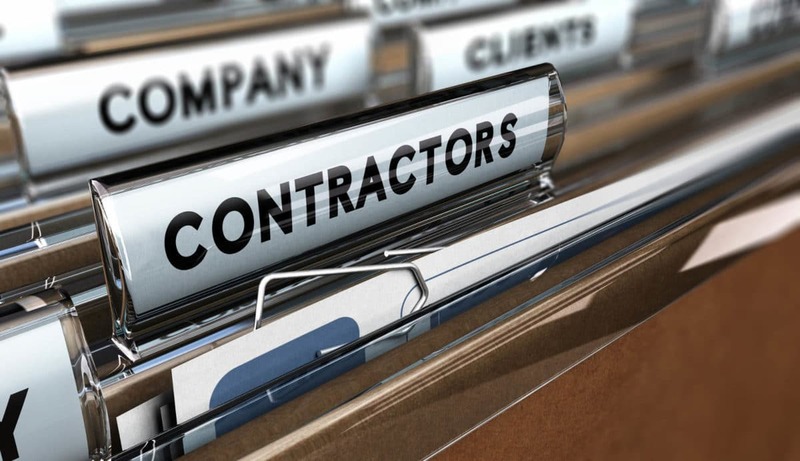 We’re committed to your company’s growth and we go the extra mile to take general contractor leads and turn them into paying customers with names and faces. In fact, you don’t pay us until YOU get paid. Check out our LeadsForward video explainer below to see exactly how this works! Don’t be fooled if you’ve used some of the big lead sites out there. They’re good enough at what they do, but if they’re like a private car then we’re like a private jet. We do very different things and if you compare our business models and our approaches then you’ll quickly see why. We’re very different to most lead generation companies out there because we’re dedicated to just one single company in any given area and we have your best interests in mind. We tailor our approach to make sure that it works for you. We’re not just a supplier, we’re a business partner. Quite simply, we don’t grow unless you grow. Provide a high quality service with positive online reviews to back it up. In business for more than 2 years with all proper licenses and insurance. Hungry to grow with a solid foundation and great company values. Be in a profitable, in demand niche and be able to maintain profitability as you scale. Even the best lead generation companies for contractors don’t work unless you put some time in up front to understand your target audience and to identify what different customer types have in common. Most lead generation companies will only get you so far, and if you want to really make an impact then you need to consider the entire process from end-to-end before you get started. Strategy comes first. That’s where we come in. We pride ourselves on being one of the best lead generation services on the market because we look at the whole process from building up buyer personas to capturing leads, nurturing them and helping you convert them into paying customers. That’s why we’ll use this first phase to get to know everything we need to know so that when we’re ready to pull the trigger on your lead generation campaign, we hit the bullseye. Once we’re all happy that we know who we’re reaching and the message that we want to reach them with, the next step is the creation and launch of your lead generation marketing campaign. No two campaigns look the same because we tailor our approach for every customer. Because we’re committed to driving high-quality leads to the businesses we work with, we focus on attracting local leads with buyer-intent and dominate local markets in Search Engines like Google, as this is where 99% of people are going to find these businesses, and Local Search Often Signals Purchase Intent. We also specialize in contractor lead generation and so we’re able to combine our industry expertise with our marketing knowhow to create lead generation marketing campaigns that have real results. The hard work isn’t over once the campaign has been launched. We’ll continue to develop it as time goes on, deploying new creative, tweaking the messaging and keeping an eye on the analytics. The goal is to create a steady stream of qualified leads that can be nurtured over time and which will eventually act as a firehose that you can turn on and off to bring in revenue. To make this happen, we run A/B testing (also known as split testing) on everything we can think of, from website headlines to website layouts and imagery. This allows us to continually improve the results of your lead generation campaign over time, whether we’re deploying new campaigns or whether we’re refining existing landing pages and lead magnets. Most lead generation services will simply hand over your leads and leave you to it. We’re very different. We’ll work with you to take those contractor leads and turn them into paying customers through the lead nurturing and customer acquisition techniques that we’ve perfected through our work with our many happy clients and customers. We work more like a business partner than a provider, and thanks to our unique business model, we don’t even get paid unless we make you money. That means we have a vested interest in going above and beyond and offering an end-to-end service, helping you to turn visitors into leads and leads into customers. We’ll even help you to celebrate when you hit your growth goals!